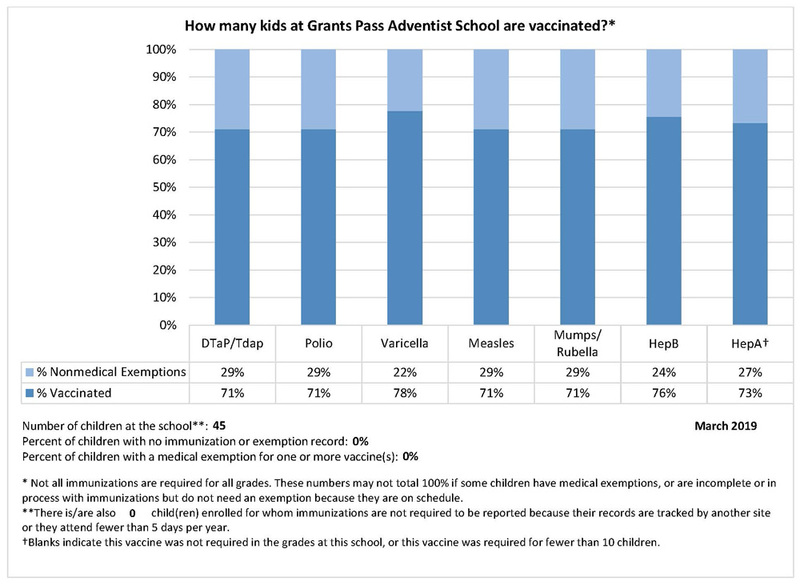 IS THE GRANTS PASS SEVENTH-DAY ADVENTIST SCHOOL ACCREDITED? Grants Pass Seventh-day Adventist School is supervised and accredited through the Oregon Conference of Seventh-day Adventists. It is also fully accredited by the Northwest Association of Schools and Colleges, which is a division of the AdvancEd Accreditation Commission. The accreditation is registered with the Oregon Department of Education. If you’re interested in quality Christian education, please contact us. We would be more than happy to arrange a meeting and tour of our school. Our campus is snuggled in the northwest corner of Grants Pass, Oregon. It sits on a cul-de-sac in a quiet residential neighborhood. Known for its seasonal climate and slower pace of life, Grants Pass is an ideal community for families. DO I HAVE TO BE A MEMBER OF AN ADVENTIST CHURCH FOR MY CHILD TO ATTEND? No. Our doors are open to persons of different faiths and beliefs. WHAT ARE THE DRESS CODE REQUIREMENTS FOR THE SCHOOL? WHAT HAPPENS IF MY CHILD ISN’T IN DRESS CODE? GPSDA believes that when students come to school dressed respectfully, school becomes more important and achievement rates rise. Check the Handbook for more information about our Dress Code. Note: Chapel is a special day and thus has a distinct set of dress guidelines. Please refer to the Student Handbook for more information. Kindergarten- 2nd Grade: 8:00 a.m. – 3:15 p.m.
Grades 3-6: 8:00 a.m. – 3:15 p.m.
Grades 7-10: 8:00 a.m. – 3:30 p.m.
Monday – Thursday: 7:50 a.m. – 4:00 p.m.
Friday: 7:50 a.m. – 1:00 p.m.
Tuesday – Thursday: 9:00 a.m. – 3:00 p.m.
WHAT HAPPENS IF I AM UNABLE TO PICK UP MY CHILD ON TIME? Please contact the school office immediately at (541) 479-2293 to make arrangements. Please call the school office at (541) 479-2293 to let the office administrator know that your child will be absent and why. Please refer to our Student Handbook for specific information. WHAT FACTORS INFLUENCE THE COST OF GPSDA TUITION? We believe the worth of attending our school outweighs the costs. The benefits of a lower teacher-student ratio, as well as our academic and extracurricular options, make Grants Pass Seventh-day Adventist School worth every dollar. Please keep in mind that many factors influence our tuition rates, such as rising liability insurance, prices of textbooks, and building maintenance. We strive to keep tuition increases as minimal as possible. Families may apply for financial assistance to pay tuition, and families who are members of our constituent churches also receive a monthly discount. DOES THE SCHOOL HAVE A LUNCH PROGRAM? HOW MUCH DOES IT COST? The school provides a healthy hot lunch twice a week. Students have the option to purchase these lunches the month before to enjoy the best value. Since our entire lunch program is on a volunteer basis, prices and availability are subject to change. 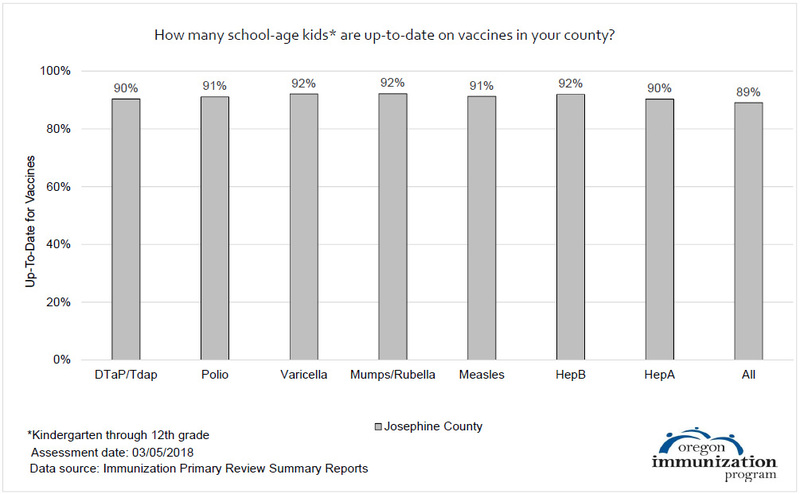 WHAT PERCENTAGE OF CHILDREN AT THIS SCHOOL ARE VACCINATED?